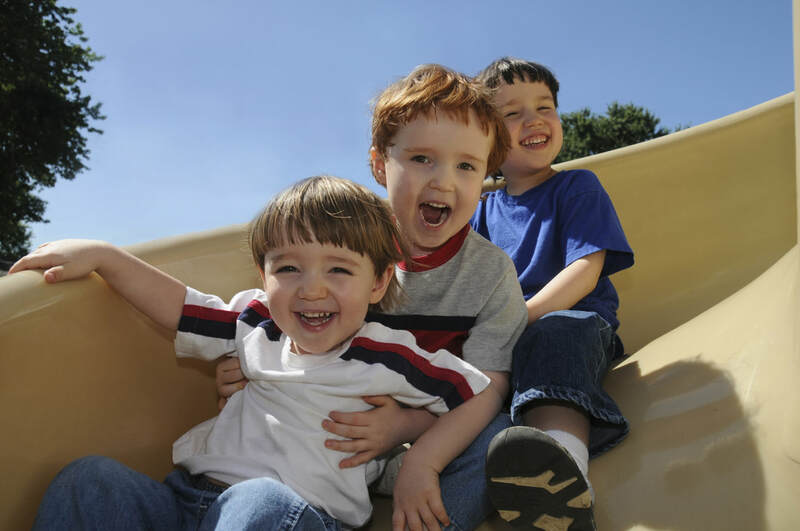 Most 4 and 5 year olds enjoy a great variety of experiences and especially love new activities. While the 4 year old is often more exuberant and enthusiastic, the 5 year old child is more controlled and likes to conform. Since both their large and fine motor skills are developing at this age, they are provided with plenty of physical equipment that will give them the opportunities to use and display their muscular effectiveness. Four and five year olds are able to concentrate and remember, and are developing basic math concepts and problem solving skills. They love to read, make up stories, be read to, and love to talk and learn new facts. During the course of the day, children select many of their own activities from a variety of learning areas. The children work both individually and in small groups in an atmosphere designed to provide successful experiences. While the staff prepares the environment, the children learn through active exploration and interaction with adults, other children and the materials. Our curriculum is rich in language development and literacy as children are provided with opportunities to see how reading and writing are used. We facilitate the development of cooperation and self-control in the children by using positive guidance techniques such as modeling appropriate behavior, setting limits, and redirecting to more acceptable activities. Children have several opportunities daily to use their large muscle skills, learn about the environment and express themselves loudly and freely through outdoor activities. Their small muscles are developed through play activities with manipulatives, cutting, puzzles, and other fine motor experiences. When the children complete our program they should have the coordination, cooperation, competence, and confidence which will give them a strong foundation for successful learning experiences in kindergarten. We just had our beginning of the year goal setting parent-teacher conference at my son’s elementary school. They’ve been in Kindergarten a bit over a month, and my son’s teacher informs us that academically he is ready to graduate Kindergarten. He read a book to us all by himself last night. Our thanks to the Children’s Center for its outstanding play-based preparation of our son to excel academically.